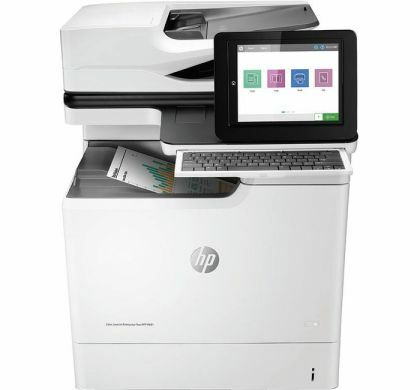 This HP Color LaserJet MFP merges performance, energy efficiency, and the deepest security. 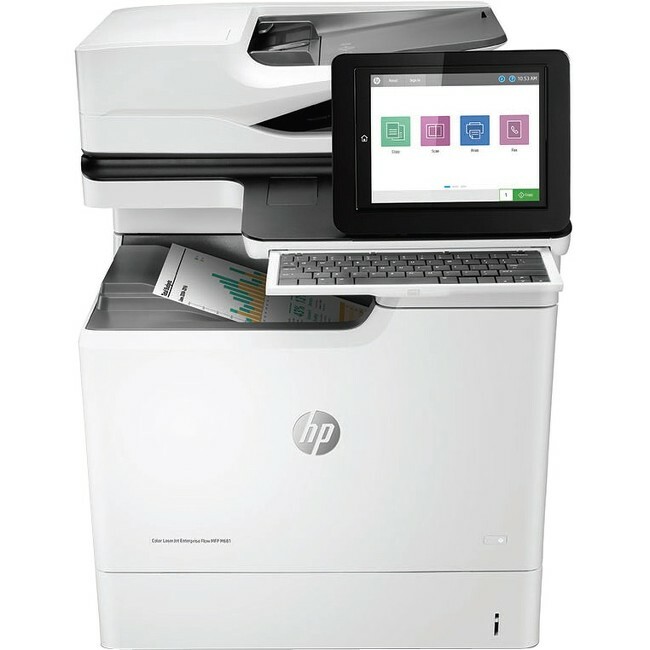 This HP Color LaserJet MFP with JetIntelligence combines exceptional performance and energy efficiency with professional-quality documents right when you need them-all while protecting your network with the industry's deepest security. â— With HP Sure Start, each printer regularly checks its operating code and repairs itself from attempted hacks. â— Run-time intrusion detection continually monitors to detect and stop attacks, then automatically reboots. â— Centralize control of your printing environment with HP Web Jetadmin-and help build business efficiency. â— Give workgroups what they need to succeed. Easily choose and deploy over 180 HP and third-party solutions. â— Scanning is now faster than ever; scan to SharePoint and more. â— This MFP wakes up fast and prints your first page faster-in as quickly as 8.9 seconds. â— This MFP uses exceptionally low amounts of energy thanks to its innovative design and toner technology. â— Paper handling options include a wheeled stand and 550-sheet input feeder for paper sizes 4 x 6" to legal. â— ColorSphere3 toner formulation, combined with an automatic media sensor, help provide leading print quality. â— Original HP Toner cartridges with JetIntelligence supply 39% more pages per color cartridge vs predecessor. â— Help retain the Original HP quality you paid for with anti-fraud and cartridge authentication technology. â— Spend less time replacing toner, and more on business. Choose high-yield toner cartridges. â— Help workgroups capture every page easily and detect potential errors or missed pages-every time. â— Enter data more quickly and accurately using the pull-out keyboard. â— Help ensure every scanned document is properly oriented, cropped to size, and grayscale-optimized.